This has been a busy week. I was reading a post by Chris McMullen on Kindle Unlimited and the effect it has on rank. The next day, I came across Hugh Howey’s latest Author Earnings Report (October 2014), and a couple of interesting posts by Publishing Perspectives and Savvy Writers. As always, the publishing industry is in a state of flux, making self publishing a bit like trying to score a goal on an uneven field. Filled with shifting sand. And moving goal posts. Oh, did I mention we’re using a Rubic’s cube for a ball? So, what have I learned from all that? The total number of books in print hit 28 million worldwide in 2013 , as calculated by all the titles that acquired ISBNs. In the United States, some 390,000 ISBNs were taken by the self-published authors, while approximately 300,000 were solicited by the traditional trade publishers. The numbers above do not include ebook-only titles, which are preferred by many Indie authors. By looking at the survey results on Howey’s website, I found out that some 25% of respondents make a full-time living out of writing. Of these, some 75% were Indie authors. How well do these sell? The following graph answers the question. Indeed, over at Publishing Perpectives, agent Andrew Lownie made the bold prediction that in five to ten years from now, 75% of the books would be self-published, 20% would be publishing assisted by agents, and only 5% traditionally published. 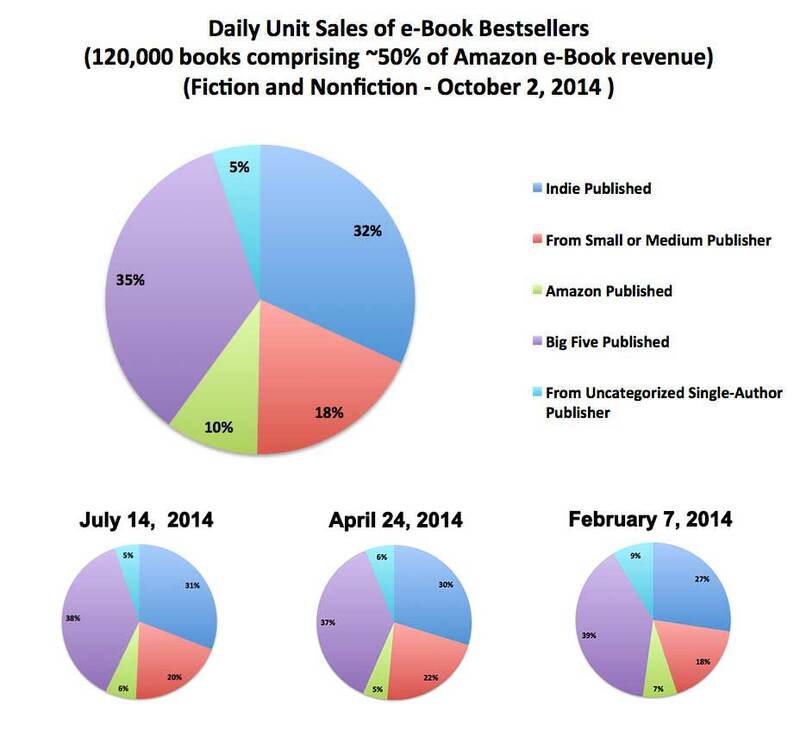 • Roughly 46% of traditional publishing’s fiction book earnings are coming from e-books. • Readers are interested in both: the quality of a book and the price. Trying to focus on just one of the two seldom works. I assume you all know by now what Kindle Unlimited is, but I’m repeating it here anyway: Amazon launched a subscription ebook service in the summer, called Kindle Unlimited (KU). The method of payout for this service has been controversial among self-published authors, and requires an explanation. Traditionally published ebooks downloaded from Kindle Unlimited earn the same amount as a sale. But for self-published authors, a “borrow” pays out differently than a purchase. The amount paid per borrow depends on how much Amazon funds a shared pool. The rate per borrow has averaged $1.62 over the three months since KU launched. However, each borrow affects ebook ranking just as a sale does, so there is a side benefit to actual sales, too. Kindle Unlimited seems to have been a major shake-up to the rankings, to visibility, and possibly to author earnings. The first thing Howey and Data guy noticed about KU Titles is that they are well-represented on the bestseller lists. There are currently 2,908,475 Kindle eBooks in the Amazon store, of which 744,181 were KU-eligible, or 25%. However, KU Titles make up 20% of the titles on Amazon’s Kindle Best Seller Lists and sublists. 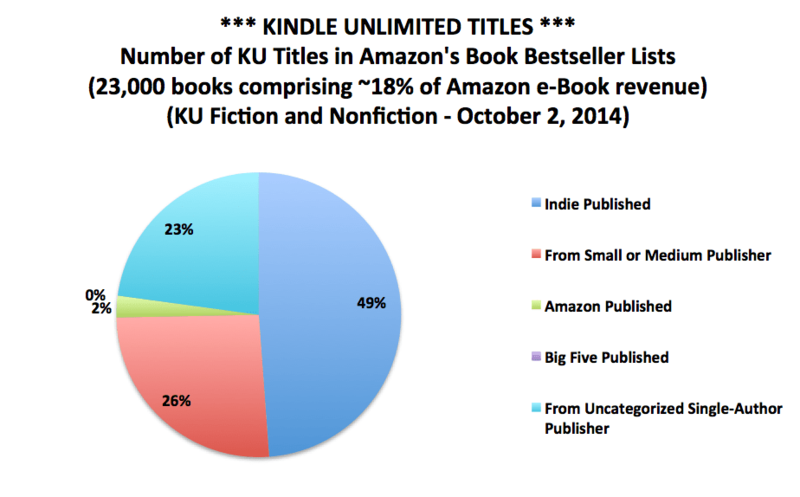 Also, KU Titles make up 32% of all daily unit downloads of paid ebooks on Amazon. According to their estimate, KU borrows alone are generating 14% of all daily author earnings on Amazon. Keep in mind, however, that authors in this program are giving up income from other outlets, which must be taken into account and may mean a decrease in earning potential for some or even many authors. Author Earnings is naturally the most interesting aspect of KU for us, as authors. And we see that indie KU titles appear to simultaneously benefit from the higher visibility earned through KU downloads and the higher revenue share earned on regular sales of those titles. How are these earning shared among authors? 56% of the Author Earnings on all KU Titles goes to indie authors. Amazon Publishing authors are getting 28%, with 13% going to authors published by Small and Medium Publishers. As for rank, 41% of the KU titles had increased significantly in daily downloads since Amazon launched KU, versus only 22% of the non-KU titles. Respectively, 28% of the KU titles had decreased significantly in daily downloads during the same period, versus 46% of the non-KU titles. Clearly, being in KU has had a significant mitigating effect on the decline in daily downloads. The decision to put those titles in KU is, on average, now generating 12% more downloads (borrows + sales) on Amazon.com than their counterparts that are not in KU. But indie titles, which make up roughly half of KU downloads, receive on average less compensation per borrow than per sale. So once again, the more interesting question for those of us is this: Are indie authors who choose to stay with KU giving up author earnings for broader readership and longer bestseller list visibility? It turns out that 33% of the KU indie titles increased significantly in author earnings since Amazon launched KU, versus only 19% of the non-KU titles. At the same time, 37% of the KU indie titles had decreased significantly in author earnings, versus 47% of the non-KU indie titles. In terms of overall averages across indie titles, we see the same effect. Once again, we see that being in KU has had a significant mitigating effect on decline in author earnings. The decision to put a title in KU is, on average, now earning indie authors 13% more money on Amazon.com for that title than their counterparts who chose not to participate in KU. What the data tells us, then, is that in most cases joining KU is a valid strategy for most authors, especially Indie ones. The Power of Six will be on sale for another five days. 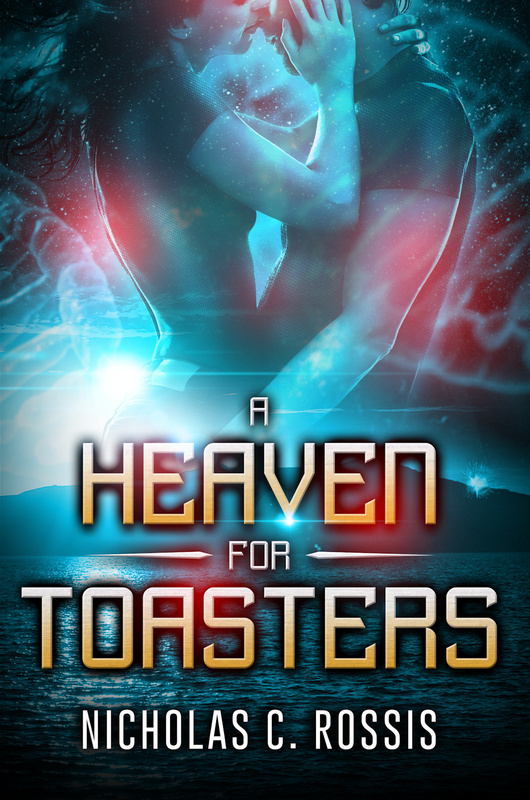 Read seven short sci-fi stories for only 99c! When I first started to read this article, I was struck with the almost insurmountable odds against success. The “numbers” simple are overwhelming against an Indie author/publisher. However, as I read (for the third time) the article, I began to see various pockets of opportunity. So, now, instead of feeling like Sisyphus and the eternal rock, I now feel there is a place for Indie authors – something that comes at a good time. Thanks again for a well thought out, organized and fact-based article. Fascinating data. I’m going to have to absorb for a while. Hmmm 25% of respondents are earning their living off of their writing. How many responded? Are we looking at 25% of the 390K or some other number. Are they writing for magazines, newspapers, and other outlets in addition to their book writing? In short, the number is meaningless without more data. A single person living on their own would have to earn about $35K net from their writing. I don’t think 25% of 390K are earning that. Tedious work I suppose in all the data collation and numbers computing. This is a great informative post. I am really encouraged by the summary and am taking my time to re-organise myself to fit in more appropriately into my writing and editing career. Never the less, how can I get hired as an online editor? Your ideas will be highly treasured. Thanks for the good work. I object in principle to the overwhelming power of Amazon as it pushes for a monopoly on book publishing. So far, I’ve resisted the pressure to publish “only on Amazon”. But if the present trend continues, I’ll probably give in and start to publish exclusively at Amazon. Of course this means I can never have a perma-free book, and I will desert my fans with nook and ipads. Am I the only author who fears what will happen when Amazon gets its way and has a total monopoly on book publishing? Surely everyone doesn’t believe they have our best interest at heart. It’s all about the bottom dollar, right? Hi Tamie, how wonderful to see you here! 🙂 You’re making an excellent point, of course. I’m grateful to Amazon for believing in Indie authors and giving us the opportunity to publish our work, but you’re right; it’s a company. Will it, however, ever get total monopoly? I doubt it. Just like authors are leaving the traditional publishers because they’re no longer happy with their services, the same will happen if they’re unhappy with Amazon. I’ve heard the “what if” argument a lot of times, but my reading of the situation is that the fear of Amazon some day abusing its power to force a bad deal on authors has to be weighed against the simple fact that publishers are currently forcing authors to accept bad deals. So, for now, I’m more than happy to stick with it. My biggest worry is one I don’t see addressed ever. How is Amazon going to know if a reader has read 10%? And how in the world are we authors going to audit this? This issue is fraught with privacy concerns (will Amazon give an author a breakdown of emails with % read? ).The whole issues of contract protection for authors centers on audit-ability…yet we’re just supposed to trust Amazon’s figures because we don’t, in fact, have a contract with them? We let them publish, but they don’t spell out how a challenge will be made except in the KDP license provision “5.4.6 Payment Disputes. You may not bring a suit or other legal proceeding against us with regard to any statement unless you bring it within six months after the date the statement is available. Any such proceeding will be limited to a determination of the amount of monies, if any, payable by us to you for the accounting periods in question, and your sole remedy will be the recovery of those monies with no interest. 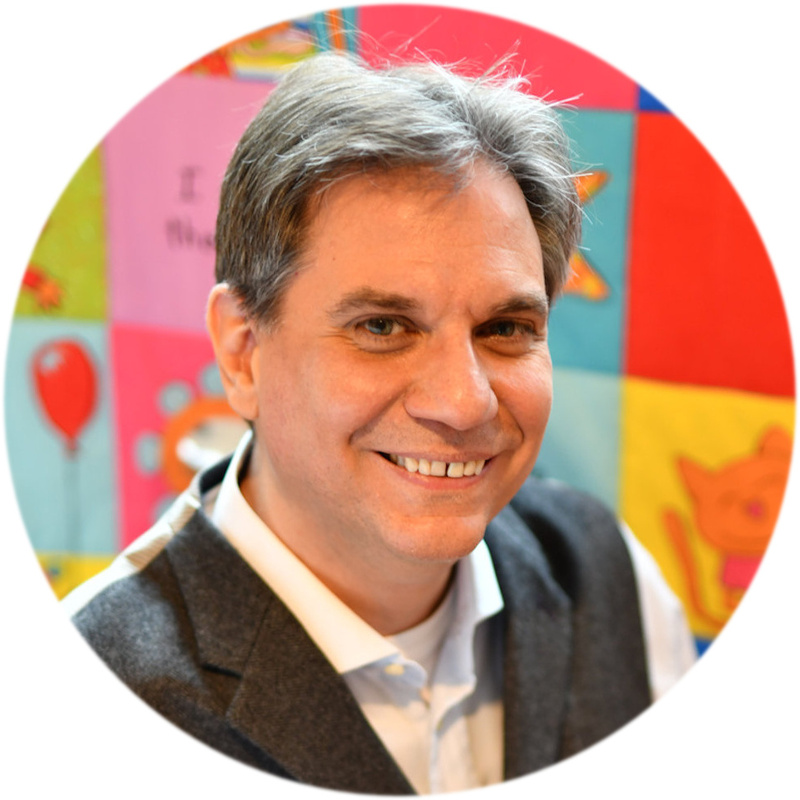 ” I guess I just can’t believe that indie authors – myself included – are signing an agreement with a company without any way to redress an audit in terms that any of us understand. You’re right. When you use a platform, you have no control over it. This is true for anything, from WordPress to Facebook. I trust Amazon more than other publishers, not because I haven’t had any trouble with their platform, but because I haven’t had any trouble they didn’t address once I notified them of it. Thanks for the number crunching. But it only includes Amazon/KU figures. “What the data tells us, then, is that in most cases joining KU is a valid strategy for most authors, especially Indie ones.” This is in the ‘unproven’ category since we don’t know anything about the lost revenue from sales through other channels. From what I’ve heard from other authors, sales from other channels are usually anything from 10 to 20% of total. That’s why I haven’t bothered distributing my books outside of Amazon. Interesting post. I have my book on KU, and I also have a subscription to KU. With all the books I read from #RaveReviewsBookClub, it saves me a little money, while still having the author get paid (albeit a little less). I would be happy to get sales, KU or otherwise. With the range of prices Indie authors price their books at, I think a lot of readers would go the KU route, rather than pay, say, $9.99 for an ebook that they may or may not even like. Nice to hear from someone who has actually joined KU as both a reader and an author, thanks for that perspective! Whether an author gets paid more or less depends on the original price of the book, I guess. Authors who sell their book for 99c will get 50c, which is rather more than the 33c they’d get through a sale. It’s interesting to think that KU encourages authors to sell their books at a higher price. It ties in with a feeling I’ve been having for a while now, that Amazon is trying to get Indies to charge higher prices for their work. Very interesting. Seems Kindle Unlimited actually is increasing author income. Thanks to Hugh Howey for a lot of investigation into this. I strongly urge you to read this if you’re thinking about KU. The best marketing effort is writing more books. Jack, Massimo, yes and no. The best marketing is a great string of books, but I’m now convinced that word of mouth alone will not sell books. You need both a good product and a solid marketing plan. “Hic sunt Leones”. 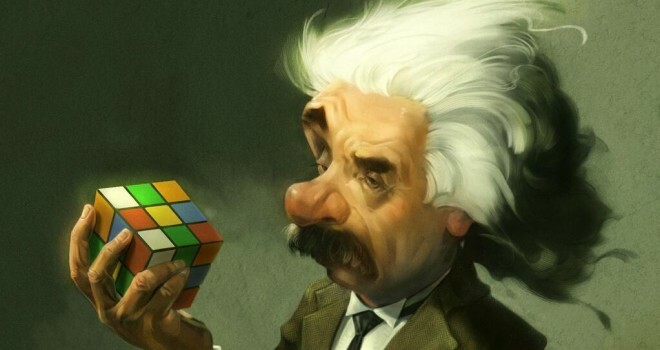 The problem is how, where, with whom, and how much will cost a solid marketing plan. I’m convinced a best-seller is never written, it’s ‘created’. What’s constitute a solid marketing plan for a solo-writer ? So many numbers for so early in the morning. I’ve heard a lot of mixed reactions to KU, so seeing the stats is a rather refreshing post. Several authors have blamed the program for taking away ‘real’ sales because you don’t know when or if the reader will reach the 10% that is needed for a royalty payment. On the other hand, this acts as a ‘no risk’ purchase for a reader who might not have bought your book in the first place. The entire situation really depends on the view you take on it because there’s an upside and downside to it. That exclusivity is another issue that gets brought up, but I’m rather one-sided on that one. I was on all the other sites when I started and got nowhere. I even spent a week promoting Smashwords and Nook instead of Amazon. I still didn’t sell anything on those other sites. So I’ve gained a lot by going exclusive. That’s just me though and I know others who have seen success on those other platforms. It’s whatever works for the author and falls into their comfort zone. Exactly. I could never tell an author what to do, as it’s all so random. All I can is share my experience in the hope it proves helpful to others. Thanks for sharing yours. I didn’t know you’d experimented with dropping Select, it’s interesting to see how that worked out (or didn’t work out, in this case) for you. I actually started on all platforms. The moment I stopped was when I tried a free week on Smashwords and got 10 downloads even after spending a bunch of time promoting. One Internet friend even messaged me to say ‘I downloaded your free sample on Smashwords!’ It felt like I couldn’t get anywhere on those sites and that people were just waiting for me to drop it to free. As expected, the sales stopped when that week was over and I had already surpassed 1,000 on Amazon. I think I still have $1.12 in royalties on Smashwords that I can’t get to. I’ve always considered trying again, but now it seems that there are more benefits for me staying. I feel like I’m establishing myself there and I never get asked if my book is available on the Nook. In fact, I never hear about the Nook any more. I assume it’s still around. A reader is never at risk when buying a book. Amazon grants FULL refund of any book being purchased within one week from the purchase. I guess what I should say is ‘no risk of demanding a refund’. It’s really that mentality that you see something for free and figure that it’s worth a try. Most people don’t think about the possibility of getting a refund when they make a purchase even though it can be done. At least this is what I learned when working retail. Especially since many places only give you store credit, so the chance of truly getting your money back isn’t common. If Amazon does this then most people aren’t aware. Yep, Amazon does give you full refund. I think most readers don’t know it. It’s never a risk to buy an ebook from Amazon. Readers, apparently, also ignore the “Look Inside” feature where they can read for free a minimum of 20% of the entire novel, and the authors can push that up to even 50% of it. It always puzzles me why readers think twice when buying a full-lenght novel at $2.99 and buy 3 coffee and latte every day. It takes 1 minute to make a coffee sold at over $4 at Starbucks and one year to produce a solid novel of 300 pages. Never knew you could push the “Look Inside” feature. Though I did realize long ago that nobody knew about it or considered it. The most common reason I heard was that they don’t have time for samples. I think the difference is that a book requires more effort to read than drinking a coffee. I know people who won’t even touch a book unless a movie deal has been made, but then they just wait to see if the movie was entertaining enough to warrant the read. Impatience probably factors in too. Hence everyone burning their mouths on coffee. Most of my sales come from iBooks, and then Barnes & Noble. I don’t sell much at Smashwords, and almost nothing at the other retailers. I’ve only just published with Amazon, so it’s too soon to tell if that was a good move or not from a royalty perspective. Amazon tends to be bigger since they started earlier than the other venues. I think genre plays a part in it too. I remember erotica and romance being the big dogs on Smashwords. Many told me that fantasy didn’t really do well there. Mihrank, I’ve replied to your emails, thank you. Vanessa, I’d be curious to learn of your experience publishing on Amazon after iBooks and B&N – whether it was worth it. Charles, Massimo, thanks for the fascinating comments! Luckily the books I published were $2.99 everywhere else, because that’s the lowest it allowed me to price it. Book 1 is permanently free everywhere else, and I’ve heard that once free books go perma-free on Amazon they stay that way unless you change it yourself. Amazon raised my price, though… If I look on my author page where it lists the books, it lists both for $2.99, which is what I chose when I uploaded them. If I click either book to go to the book page, it’s almost $6 to purchase. Then if I look at the royalty report so far, it lists royalty amounts based on the lower price. There is one other thing that confuses me… when I signed up, I was given the option to choose between 70% and 35% royalties – I can’t fathom why anyone would choose the lower rate? Ah, I now see what you mean. Amazon doesn’t raise your price, but prices books differently depending on where you’re accessing the website from. So, a reader from SA would get a different price than an American when shopping on amazon.com. Vanessa. On Amazon you can price you ebooks at 99c. It doesn’t matter whether you’re on Select or not. The only caveat is that you get 35% royalties at that price range (up to %1.99). The wording is misleading: you don’t actually choose whether you get 35% or 70% royalties. What you choose is the price range available to you: 0.99-1.99 with 35% and 2.99 up with 70%. Massimo, thanks for your comments. I have to verify this, as I’m pretty sure Amazon doesn’t let you charge 99c unless you’re on Select. But, like I said, I have to double-check. Vanessa, shoppers from around the world pay different prices depending on local taxes. So, a $2.99 book on amazon.com would sell for $3.68 in Greece, because of Greek taxes. As usual, the stumbling block, for me, is exclusivity. I have only written four books and I can’t really afford to lock any one of them in one market. I dislike that wp authors get less, too. Yes, Amazon is mighty but Google already has itself positioned to supply books worldwide without punishing download fees. As I understand it this means a lot of people who read in English are already established Googlebooks customers. Then there’s iBooks, too and my small but significant income from Kobo. Like your upbeat tone though. I’m in no way trying to talk anyone into joining Select. If what you’re doing is working for you, by all means, continue. I’m just interested in informing people of their options. As for Amazon and exclusivity, you’re hardly the first one to complain about it. Even Howey has been urging Amazon to drop that requirement. I just wish, like Howie, that Amazon would open it to all, after all, if publishers can go in and sell elsewhere, why can’t I? The pathetic amount I earn elsewhere is unlikely to come close to what I’d make on borrows and reads with Select but it’s taken so long to build those sales that I feel that pulling out now would be a few yards short of madness. That has nothing to do with joining Select or not. You can price your book for 99c and upwards and get 70% of royalties from $2.99 irrespective whether your book is or not in Select. What annoys me the most about Amazon is that they almost double my listing prices (and I have to battle to get the first book in my series up there for free). Besides annoying any reader who purchases from Amazon only to discover he/she could have got it much cheaper elsewhere, Amazon doesn’t even give authors a cut of the extra, from what I can tell – they keep it all and you get the same royalty amount as if the book had been purchased at the lower price you set. Yes, you can do the ‘report a lower price’ thing, but I did that for my ‘free’ book about a week ago and it’s still priced, and if it’s a priced book whose price they raised, they keep raising it again and you have to keep going back to report a lower price. At least, this is what quite a few of my author friends who have been with Amazon for a while tell me. Erm, the short answer to that is that it depends. Like I said, you can price your book for 99c upwards if you join Select. For prices under $2.99, you only get 35% of royalties, though. You can’t give it away for free, but can “trick” Amazon into doing so for you, if you give it for free elsewhere. Once you tip them off, it may take a few weeks before they do so, though. Amazon usually doesn’t mess with your price, and never raises it. If people complain that a book costs more on Amazon than, say, B&N, they will match the B&N price. I’d join Select in a blink if it was not for the exclusivity. Even if I sell maybe 10% on Nook and iTunes compared to Amazon I don’t understand why those readers should not be allowed to get my novels. I agree with you, the exclusivity bothers me, too. In my case, what influenced my decision to join Select is the fact that I’d rather spend my limited time and resources on a single marketplace than risk spreading too thin. Finding the time to write is enough of a struggle without having to maintain a presence everywhere. Hello, Nicholas. Thanks and good summary of Hugh Howie’s report. Well, I’m present on FB and twitter and through my blog. I don’t focus any ad on Amazon or other retailers. I once used the “Meet Our Authors” Amazon discussions but now I stopped. My sales increased 😉 Go figure. Exclusivity, IMHO, hurts Indie Authors. I want to be found everywhere, and from any reader with any ereader or with the envy to get the paperbacks. But, there’s no winning formula for everyone. For some, Select and KU can be the answer, for others it is not. Yeh. They definitely want all the self publishers in with them for some reason. I notice the royalties are beginning to go down for us, too. I worry, also, that once people are tied in enough, they will pull the rug from under us. They are here to make money, after all. I think Amazon is using Indies as leverage against the big publishers. Which happens to work fine by me, at least for now. I’ve heard the “what if Amazon turns evil” argument a lot of times, but my reading of the situation is that the fear of Amazon some day abusing its power to force a bad deal on authors has to be weighed against the simple fact that publishers are currently forcing authors to accept bad deals. So, for now, I’m more than happy to stick with it. I concur, but I don’t think Amazon needs the exclusivity to corral writers and prevent their books to appear on other e-stores. It’s a matter of visibility: if an author becomes successful, wherever the novels are, sales are bound to grow manyfold everywhere. 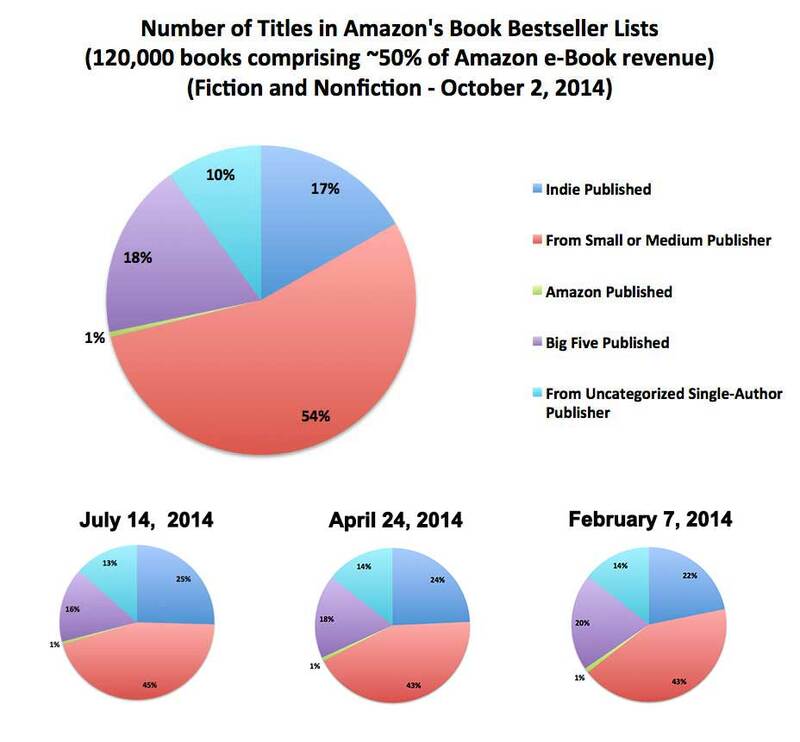 Amazon’s interest is not to fight for market share but to have successful writers selling their books. If he consulted me, I’d tell him to launch Amazon bookstores with online only catalogues, with individual screen stations where patrons can buy an ebook or order on the fly the paperback with a POD printer in the backoffice. Oh just meant to add, thanks for doing all the number crunching for us! And I always learn something from your posts. All those figures made me go boggle eyed by the end of the post lol! Basically, you’re saying that for Indies, akthough KU pays out less than a sale, downloads are increased, so its worth being in it, right? Although by going exclusive to Amazon, you may lose sales elsewhere. Not a problem for me… btw I’d be delighted to earn $12k from my writing lol! Lol! Think thats about as much as I made in a year! A summary’s summary… hmmm, numbers are not my thing. Glad you did that for me! No way! Your books are brilliant! Maybe you just need to have more of them out there, and to organize a few promos. But the writing and story… spectacular! You say the sweetest things! Just what an Indie needs to hear! Yes, Im very slow at writing. When #3 is done, I shall work on promoting the series. I just need to get on with it!!! I would challenge that! Ive lived among Greek people, remember? Although when Greek people talk, it often sounds like they are shouting at each other lol! Yes, you did say that you grew up on an Greek island! Whereabouts was that, anyway? Does that mean you’re fluent in Greek, too?? Cyprus. And I could speak it passably well. Not now though. We go to Kalymnos every summer. Oh, and this may shatter your illusions about me, but I’m not actually Irish! I found out recently that I had an Irish great grandfather, but know nothing about him… something which needs investigating at some point. May I ask about the rest of the family? My maternal grandfather is english, now known of irish descent. My grandmother is german. My paternal grandmother is also english, her husband was polish. My husband and children are irish. I have lived in Ireland for 12 years. It feels like home to me as nowhere else ever has. My parents were nomadic hippies. We never settled anywhere, never put down roots. Creative – informative and productive Composition! Is KU the same as KDP, or are we talking about entirely different things? Sorry if that sounds like a stupid question – I published with Amazon for the first time this month (not Select) and am still trying to figure out a marketing strategy for those books (which is hard, since Amazon insists on raising my prices to almost double). You only qualify for it when you’ve joined Select, though. So, it wouldn’t apply in your case. Likewise, Amazon only lets you start your prices from 99c if you’re on Select. It’s great to read a more optimistic picture of publishing. Particularly since I am still reeling from a Globe & Mail article which states that Canadian authors publishing in a traditional method can expect to earn a sizzling $12K this year. Woof!